Glowing, Addictive, and all around fun racing game. 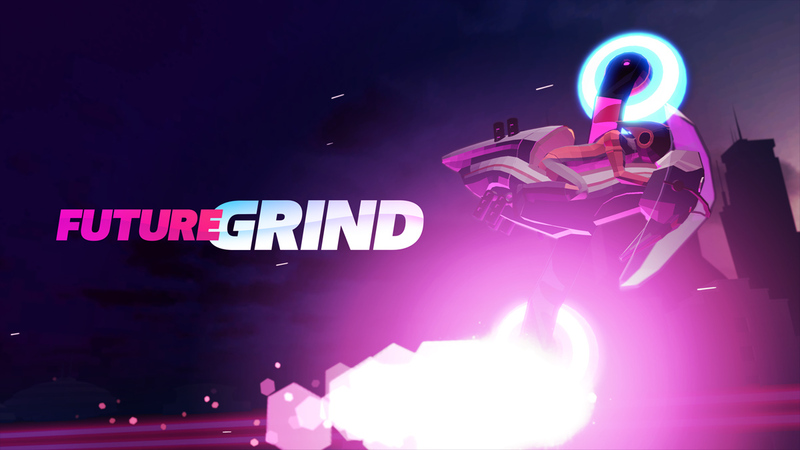 During the last two years, Milkbag games have dedicated themselves to developing innovative games for Windows, Macs, iOS and Android, and now they’ve got their sights set on Switch, thanks to their newest release that comes in the form of a racing/arcade game by the name of FutureGrind. In FutureGrind, your job is to help sponsors with the testing of their tracks by supporting the sponsors they will keep you and continue to have you test their tracks. On each course in the game, you will have a task that you will have to complete weather that’s doing a 720 backflip, under grinding under rails, or avoiding white railings. Although you’re just a tester to these sponsors, there is someone who is observing your skills on the tracks to use you for a more significant purpose. Besides, you’re not testing these glowing and stunning tracks for nothing. You also get awarded things like new bikes. Each bike has a unique feature that comes with it. The first bike you will get will be from Sponsor Slice. This bike will have booth wheels the same color, but the catch is that the wheels are purple so you would only be allowed to touch the railings with purple glowing. The second bike you will get will come from sponsor Left Coast this bike has magma and turquoise color wheels you will have to alternate between to touch the right railing that corresponds to the wheels. These are just some of the bikes that are in FutureGrind, but more will come as you advance through the game and pick up more sponsors. Some will feature speed boost, different colors, small and big wheels, but with getting new bikes comes new challenges in completing assignments assigned to you. Moreover, FutureGrind features an amazing and stunning soundtrack that will be soothing to your ears as you play through tracks and even browse some of the things on the home menu like the Grindpedia. The Grindpedia is a dictionary of all the tricks you can do with the bikes and even features little clips of how you perform the methods. Furthermore, in addition to the soundtrack of the game, FutureGrind’s visuals are more than glowing but are satisfying to look at the fantastic vibrant colors spread throughout the course of the track, and the home menu aesthetic look brings the game’s visuals together. Except for the technical issue I had when I was saving a video clip from one of the tracks, the game froze while the clip was saving which is a minor technical issue that can be fixed with an update. Unfortunately, with the technical issue I had, I do feel the game needs more added features to enhance the overall experience. I would also like to see the developer, should they decide to make a sequel, to make the dialogue more compelling, instead of an icon with a photo of a real-life person and general text, as animated characters would have made delivering each line more entertaining. Overall, FutureGrind has some great features that brought me back the excitement of playing a biking game. From the beautiful and vibrant tracks, the challenges and task that had you at the edge of your seat, the new bikes that you would get as you progress through the game. Last but not least, the soundtrack and visuals which I truly enjoyed listening to on the home menu of the game. As this was my first time playing a racing/biking game on the Switch, I could certainly say that I definitely wasn’t expecting a game quite like FutureGrind and am certainly interested in seeing what else Milkbag can offer the Nintendo Switch going forward.